When one or multiple tours are added to your account, your “Tours” screen presents your virtual tours. Select a location by entering the establishment name or address. Click the green button “Save” and your virtual tour is created in TourDash. The “Edit” button brings you to the Editor more information about editing is given in the articles mentioned below. When you are done editing your tour you can publish the tour by choosing the “Embed” option. You can watch this short tutorial on how to publish a tour. The “Embed” option brings you to the page where you find all the information needed to embed your tour on your website or blog. On this page the “Embed code” (‘iframe’) is presented and by ‘copy & pasting’ this code to your website the TourDash virtual tour can be published and shared easily. To make it easier to give your TourDash virtual tour more publicity we have a built-in option to publish your virtual tour on Facebook. Once you've clicked on “Embed tour”, a new page appears with in the lower left corner the blue “Publish to Facebook” button. By clicking this button you open the login screen of Facebook. Here you can login to your businesses' Facebook page. Once logged in, Facebook will ask if you want to add a new “Page Tab”. Choose yes and a new tab named “Virtual tour” will appear on your Facebook wall. By clicking that tab any visitors will be shown the virtual tour you made with TourDash. Here you can find how you can change the picture of the tab. The “Delete” option allows you to remove the virtual tour from the TourDash database. Once removed the TourDash tour (including all its feature) is no longer available. The Google Maps Business View tour however still exists, because it is stored on the Google servers. Choose the “Delete” option from the drop-down menu and click “Yes” on the pop-up page. This step is irreversible, so please make you sure you want to delete the virtual tour. TourDash Analytics is a helpful tool to analyse the behaviour of the customers who visited the virtual tour. By analysing their behaviour, you are better able to track your return on investment.Please note that Analytics only works for virtual tours that are equipped with TourDash and is only available for gold and platinum licenses. 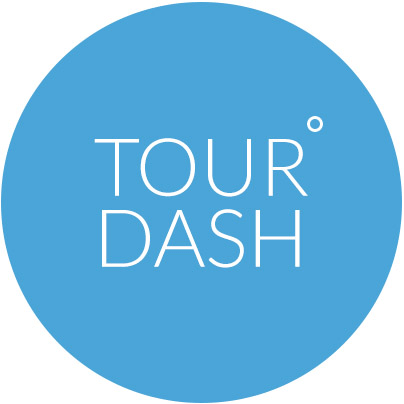 For more detailed information about TourDash analytics, please check out the Tour Analytics page.